Recent developments on Turkey’s political scene have all but reinforced the impression that the ruling Justice and Development Party (or AKP) is nothing but a willing handmaiden to the figure of Recep Tayyip Erdoğan, who ambition apparently knows no bounds. On 1 November 2015 Turkey’s electorate gave the ruling AKP a huge vote of confidence. And many observers were taken aback, domestically as well as abroad. As a result, I decided to employ the term “Turkey’s November Surprise” in connection with this electoral outcome. But, in reality, for a variety of reasons some were actually expecting such a result at the ballot box… talking to business news website IntelliNews, just a few days prior to election day and published on October, 30th, I said the following: “If the AKP secures 45% votes, they will continue driving home their liberal economic policies and their policies of Sunnification.” As it turned out, the AKP gained 49.5% of the vote and wily PM Ahmed Davutoğlu steadfastly continued his demolition of stalwart Kemalist institutions and attitudes. 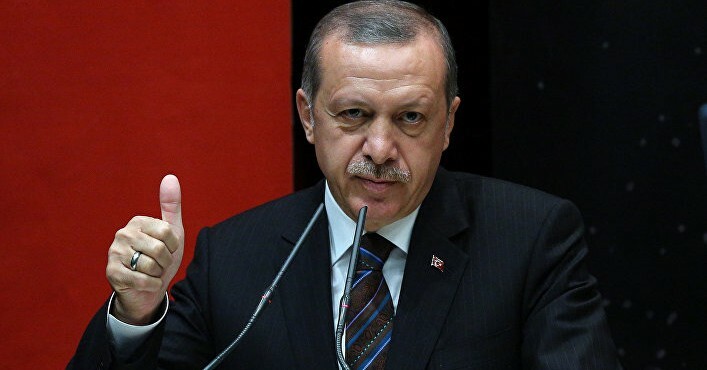 But it still wasn’t all plain sailing, as since the year 2010, his boss, the proverbial Prez, or, the nation’s first-ever popularly elected President Recep Tayyip Erdoğan had been clamouring for the abolition of Turkey’s parliamentary system in favour of a presidential one. One could argue that Tayyip Erdoğan was inspired by Vladimir Putin’s switcheroo in neighbouring Russia, from PM to President and back again. And as a consequence, back in Turkey last year, during the campaign season prior to the big day, wily Davutoğlu also mentioned the ultimate goal of transitioning to a presidential system, without pressing the issue though. But the best-laid plans of yesteryear have a tendency of eventually coming to fruition, sooner rather than later. About a fortnight ago, on May, 5th to be precise, the wily PM announced that he would take his ruling AKP to an extraordinary general convention, a convention where he himself would not run for the position of chairman and/or prime minister (given that political tradition determines that the former always assumes the latter post as well). The twitter-happy whistleblower Fuat Avni had been spreading the word of a growing rift between the wily PM and the idiosyncratic Prez, Ahmed Davutoğlu and Tayyip Erdoğan. And the day prior to his announcement, the wily PM did visit the presidential palace to have a long deliberation with his boss, the party founder. As a result, this sudden resignation was seen by most, if not all, as proof of Erdoğan’s ever-increasing power-lust and Davutoğlu’s ultimate failure in the game of politics. Davutoğlu set the date for the all-important convention for 22 May, and quite a few names started floating around in the ether as candidates for the post of Prime Minister. For all intents and purposes, the academic-turned-advisor-turned-politician Ahmed Davutoğlu really has to be understood as the brains behind the whole AKP operation. After all, his boss the divisive yet universally loved Tayyip Erdoğan is the proud product of a so-called İmam-Hatip Lisesi or Muslim Preacher Preparatory Secondary school. As a result, his expertise lies in rhetoric and the art of persuasion rather than in political theory and policy analysis. Both men have been cooperating for many years, ever since 14 March 2003 when Erdoğan took over the reins of government and Davutoğlu started acting as prime ministerial Chief Advisor. 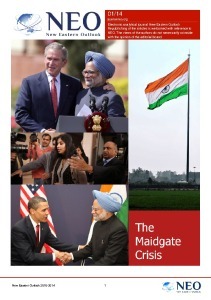 In 2009, the latter even became Foreign Minister and his policies all but dovetailed with the former’s domestic agenda. From 28 August 2014 onward, they effectively became Turkey’s Dynamic Duo of the Prez and Wily that guided Turkey’s state and society deeper into post-Kemalist waters and Sunni Islamic climes. But these days are over now, and speculations concerning the new PM have been allayed on 19 May, when deputy AKP leader and spokesperson Ömer Çelik announced that the figure of Binali Yıldırım, the Minister for Transport, Maritime Affairs and Communication, would be the one chosen to succeed Wily as party head and PM. Yıldırım has almost continuously headed his post at the Transport Ministry since 2002, with the significant exception of the period between 4 June 2014 and 24 November 2015, when he acted as Senior Advisor to President Recep Tayyip Erdoğan, a role earlier played by none other than Ahmed Davutoğlu. Hence, a new dynamic duo seems to be on the brink of emerging on the scene. Like Davutoğlu, Yıldırım has very sound Muslim credentials and his dedication to pursuing the Prez’s intent of raising future generations of pious Turks and to solidifying the AKP policy of Sunnification seem beyond doubt. In fact, the whole exercise of establishing Turkey’s 64th government appears steeped in anti-Kemalist and pro-Ottoman (read Islamic) symbolism. The election that ushered in Davutoğlu as the country’s 26th Prime Minister was held on the same date that, in 1922, saw the abolition of the Ottoman Sultanate, namely November, 1st. Therefore, it seems to me that the AKP leadership and its propaganda apparatus very skillfully picked the day for 2015’s second and conclusive elections to broadcast a specific and poignant message: namely that Tayyip Erdoğan successfully took his first steps towards establishing a presidential system in a Muslim land on the same date that Mustafa Kemal [Atatürk] had effectively done away with the tradition of Ottoman (or Islamic) rule in Turkey. In the same way, the act of releasing the name of Turkey’s new presumptive 27th Prime Minister on 19 May is equally charged. Traditionally, Turkish citizen celebrate the Atatürk, Youth and Sports Day on this date, commemorating Mustafa Kemal’s landing at the Anatolian port city of Samsun in 1919, which is understood as marking the beginning of the Turkish War of Independence and thus the first step towards establishing the Republic of Turkey (1923), as a new nation state oriented towards the West and distanced from its Muslim neighbours and from the religion of Islam. Even though, the reality on the ground in the Turkish Republic was still very much steeped in Islamic piety and Muslim traditions, conservative opponents of the Kemalist regime regarded the official attitude of leniency towards Islamic restrictions as tantamount to denying the important place of Allah in the lives of the inhabitants of Anatolia and Eastern Thrace. The Kemalist regime had its opponents since the very beginnings, but the state was always able to successfully suppress any opposition and safeguard the status quo, arguably largely due to the support of the country’s large and powerful military establishment. As a result, a self-styled secularist élite inhabiting Istanbul and Ankara ruled the country and emulated the West to its heart’s content, while many aspects of modernization and innovation simply bypassed the bulk of Anatolia’s population that remained bound to the traditions of Islam and its self-proclaimed spiritual and less spiritual leadership. Tayyip Erdoğan’s new political project that sprang to life in the early years of the 21st century has been aimed at deconstructing the Kemalist consensus and re-introducing the religion of Islam to all aspects of Turkey’s public and private life. Erdoğan’s political mentor Erbakan, during a parliamentary group meeting of his RP (Refah Partisi, erroneously translated as Welfare Party), had on 13 April 1994 declared that the transition to what he called a “Just Order” (arguably, a shorthand for Islamic rule) would occur but that the means could either be “sweet” or “bloody.” Less than a decade later, Erdoğan’s new political project ensured that the transformation would be “sweet,” or in accordance to the rules of parliamentary democracy and popular participation in election contests. I would argue that the academic-turned-advisor-turned-politician Davutoğlu was probably largely responsible for such a smooth changeover. As a political scientist, who also possessed deep levels of personal piety, he had become the respectable face of political Islam in Turkey at the end of the previous century. As a result, Davutoğlu could not but gravitate towards the figure of Tayyip Erdoğan, an ambitious politician with comparable deep levels of personal piety. 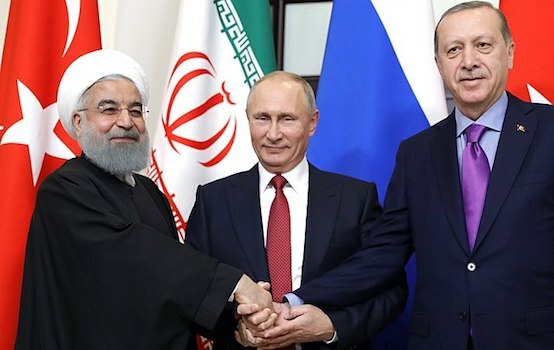 And the two cooperated for more than a decade, eventually even becoming Turkey’s Dynamic Duo that effectively killed the memory of Atatürk in people’s hearts and minds and effectively emasculated the so-called secular opposition. The Prez and Wily built the New Turkey with their own hands and minds, shaping the state’s institutions and the social reality of its inhabitants to fit their personal agenda of Sunnification and gradual reintegration into the Muslim Middle East, the Ottoman hinterland of yesteryear. But now, it seems, Recep Tayyip Erdoğan’s personal ambition and proclivity for micro-management have gotten the better of him and he thus summarily fired his Prime Minister and opted for a more malleable replacement. Alternatively, one could arguably reason, given that the switcheroo towards a presidential system had been in the air since 2010, when Davutoğlu was busy acting as Turkey’s wily FM, that the latter’s present and sudden dismissal was all but executed according to plan. After all, following his public declaration of intent, the soon-to-be-replaced PM happily acted as one of the witnesses to Sümeyye Erdoğan’s marriage to the defence industrialist engineer Selçuk Bayraktar. In fact, the Prez also invited his former brother-in-arms, former Turkish President Abdullah Gül to attend the ceremony. In this way, Tayyip Erdoğan united the two names appearing in the popular press as potential rivals under one roof, making plain to the world that a “Just Order” had finally been established in Turkey, a “Just Order” under the firm yet benevolent leadership of the nation’s first popularly elected president, keen to hold the reins of state tight and micro-manage the country’s affairs according to the Prophet precepts and the rules, regulations and restrictions imposed by Islam. The new PM, Binali Yıldırım, who was tasked to form a new government in the aftermath of the AKP’s Sunday Congress on 22 May 2016, has in the past given ample proof of his personal piety and has now also publicly expressed that “obedience” to the chief, or rather the Prez, is tantamount to a religious duty.